Amsterdam, 16 August 2016 – AOC, one of the global top brands in the display market, is adding two new premium 4K UHD displays to its award-winning 77 Series. 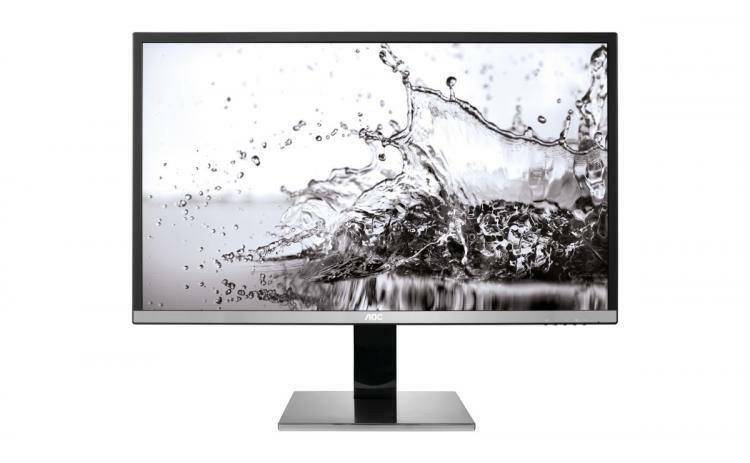 With 3840 x 2160 pixels, the 27" (68.6 cm) AOC U2777PQU and the 31.5" (81.2 cm) AOC U3277PWQU boast an ultra-sharp resolution that is four times higher than Full HD, producing highly detailed images. Thanks to the displays’ high pixel density, users can look forward to more workspace on their desktop, allowing for greater productivity. In addition to its excellent image quality, comprehensive ergonomic features and AOC Flicker-Free technology make the stylish monitor ideal for all users seeking precise and detailed images as well as a comfortable monitor set-up for better health and wellbeing. 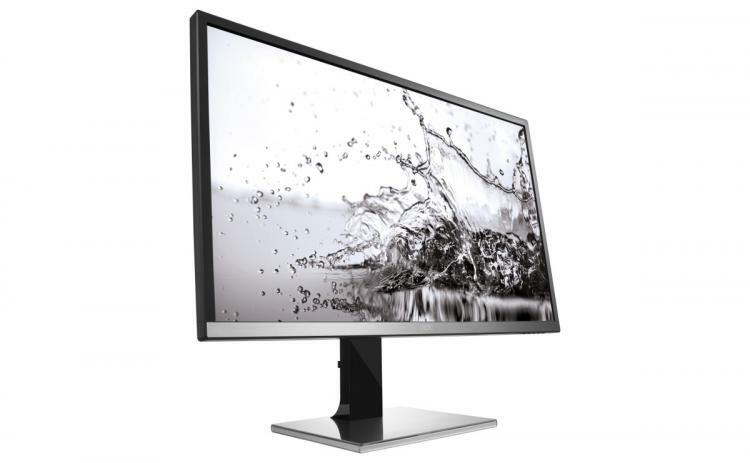 The AOC U2777PQU (27") and AOC U3277PWQU (31.5"), respectively equipped with a high-quality IPS and AMVA panel, both feature 4K UHD resolution (3840 x 2160 pixels) and come in a 16:9 aspect ratio. The monitors produce vivid images with more than 1 billion colours (Real 8-bit+FRC) and 100 % of the sRGB colour gamut. The AOC U3277PWQU’s AMVA panel offers an even wider colour gamut of 95 % NTSC, for even better results. In addition, their high resolution provides more workspace on the desktop. As a consequence, graphic designers or photographers can for example experience four times the detail of a digital image without needing to zoom in or out, making professional image editing more enjoyable and precise. 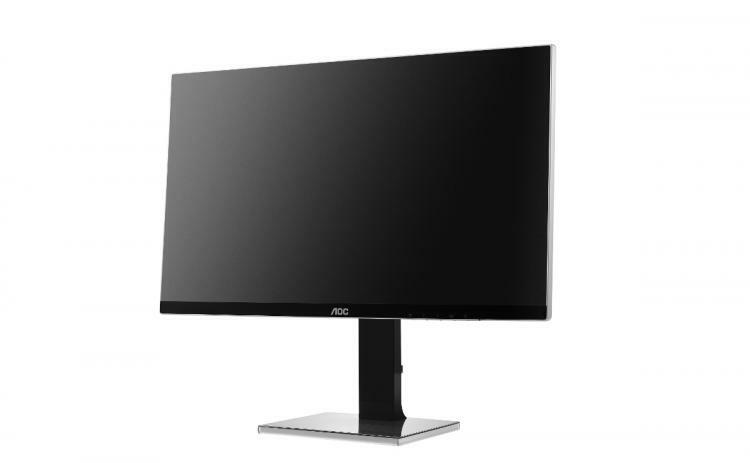 Similarly, users working with data-intensive or multiple applications profit from the large screen real-estate, which is further emphasized by the AOC U2777PQU’s nearly borderless panel. Wide viewing angles allow for good colour uniformity from almost every angle. Both displays are thus also well suited for office settings in which monitors will be looked at from multiple perspectives. Each model nevertheless also comes with a 60 Hz refresh rate and a short response time, making them equally appealing for gaming enthusiasts who will benefit from crisp 4K visuals. The AOC U2777PQU and AOC U3277PWQU are equipped with multiple ergonomic features that provide users with a comfortable working experience. Each display comprises height-adjustment, swivel, pivot and tilt options that make it possible to adapt the screen to suit each individual’s seating preferences, for improved comfort especially during longer periods of working. AOC Flicker-Free technology regulates the monitor’s brightness to reduce flickering of the screen and relieve eye discomfort and fatigue. Both displays feature a broad scope of inputs, allowing users to connect them to a variety of devices. Apart from DisplayPort, HDMI 2.0, DVI and VGA, each model features USB 3.0 connectors, which allows for fast data transfer and charging of mobile devices. For more productivity, the AOC U3277PWQU is also equipped with a PiP (Picture-in-Picture) and a PbP (Picture-by-Picture) function, allowing users to display content from two different sources at the same time through an inset window or a split screen. The 4K UHD resolution makes images from both sources come out in high detail, making multitasking easier than ever before. The AOC U2777PQU and AOC U3277PWQU will be available in September 2016. The MSRP are £519 and £559. As with all of its displays, AOC offers a 3-year warranty with on-site exchange service.